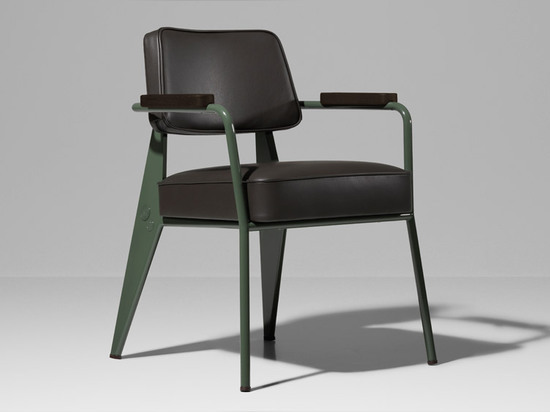 Milan 2015: Fashion brand G-Star RAW has collaborated with furniture company Vitra to update a range of original designs by Jean Prouvé for use in modern offices. 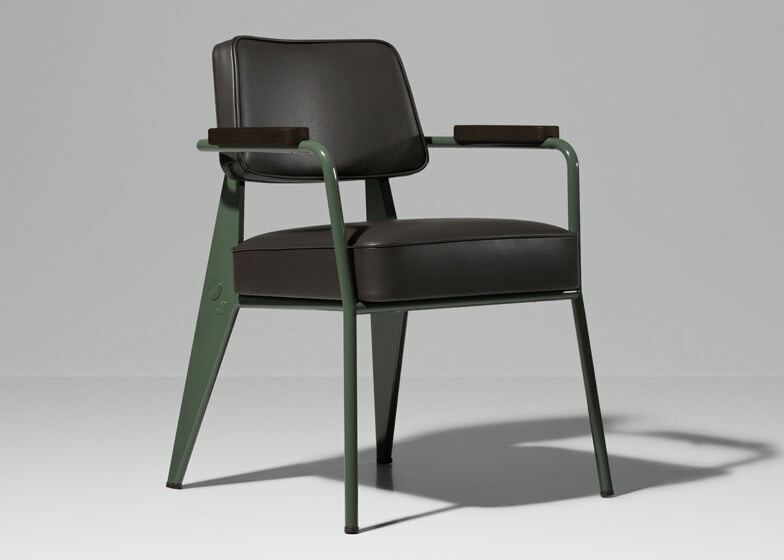 Set to launch at the Milan furniture fair next month, the Prouvé RAW: Office Edition collection is the second produced by Dutch denim brand G-Star RAW and Swiss firm Vitra using original designs by the French Modernist architect and designer. 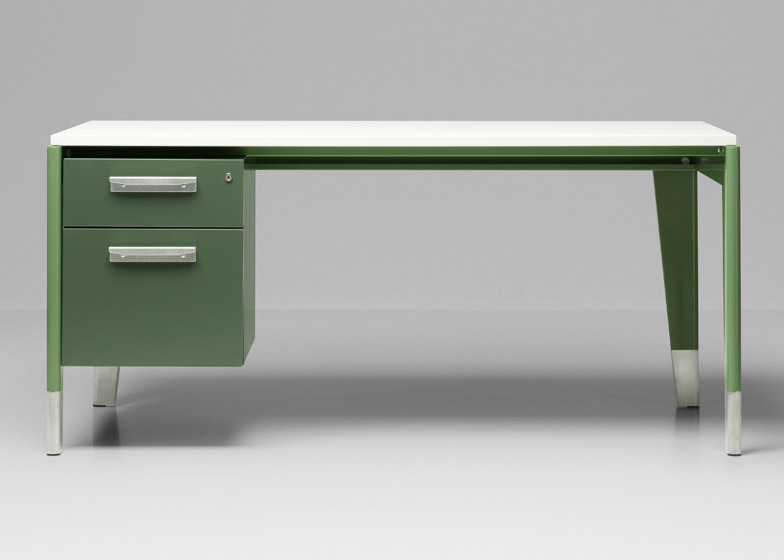 It includes updated versions of furniture and lighting pieces that were first created by Prouvé for the offices of French industrial companies in the 1940s. The 10 pieces in the range, including chairs, desks, tables, cabinets, desk lamps and wall-mounted reading lights, were initially developed for G-Star RAW's new OMA-designed headquarters in Amsterdam, which opened last year. "We primarily went into the Prouvé stuff because we were fans," explained Shubhankar Ray, global brand director for the fashion brand, who spoke to Dezeen at the Design Indaba conference in South Africa last month. "We wanted the furniture for our offices, so that is how it started." "We developed an office system out of the Prouvé office furniture, but tuning it a bit for our spec and for that building," he added. "Then they asked us to make the whole collection. They gave us all the drawings from the Pompidou Centre, from the Met, from Jean Prouvé's granddaughter Catherine. 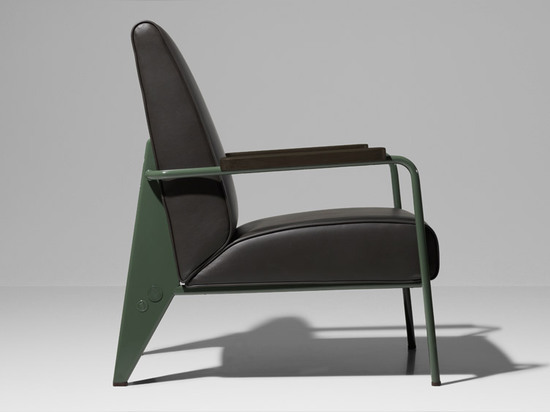 "G-Star RAW and Vitra worked with Prouvé's family to update the designs, developing a new palette of materials and coloured finishes. 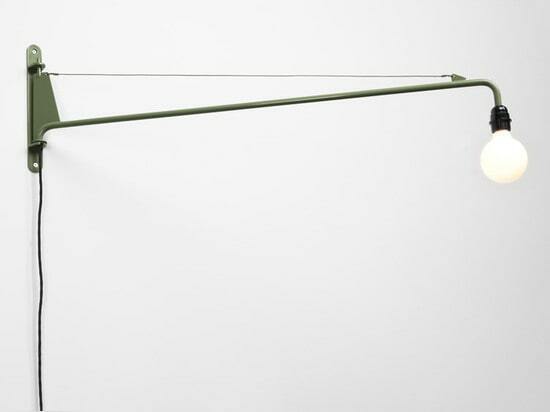 All the pieces are made from either steel, solid timber or a combination of the two. A swivel desk chair on wheels has been given a new base to make it more stable, with five struts at the bottom. 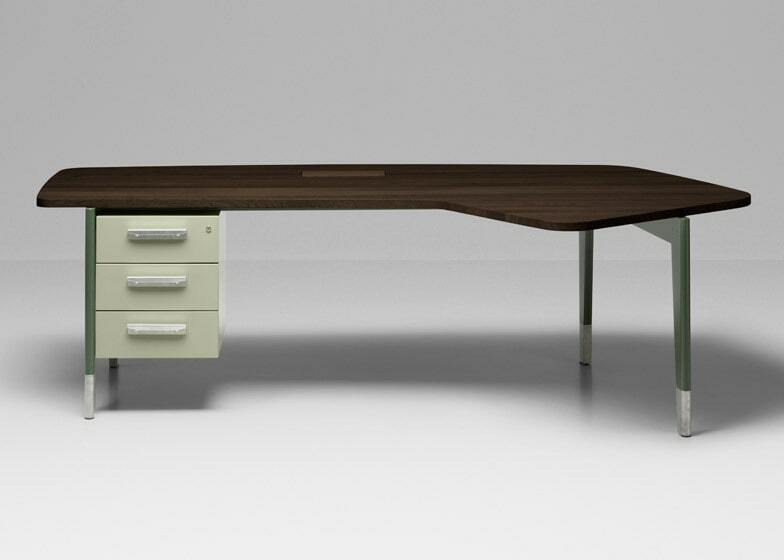 Desks with wooden tops and steel legs have been given a modular adaptation with the addition of small drawers underneath the work surface. They also feature gutters for computer cables and concealed power plugs, as well as adjustable legs. "We ergonomically changed it so that it is set up for 21st-century modern interiors – we're all a bit taller, so we had to extend things and make it for modern human beings rather than the size of people in the 1940s," explained Ray. "It's made by Vitra so the spec is great. We will retail it for $2,000 or €2,000. So suddenly it makes the world of Prouvé more accessible." 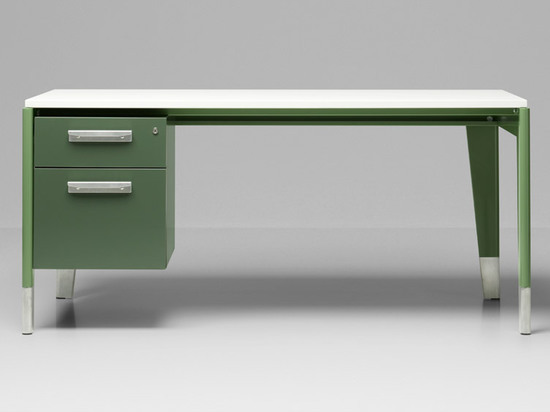 "[Prouvé] wanted his design to be democratic so it's quite on point and quite honest. 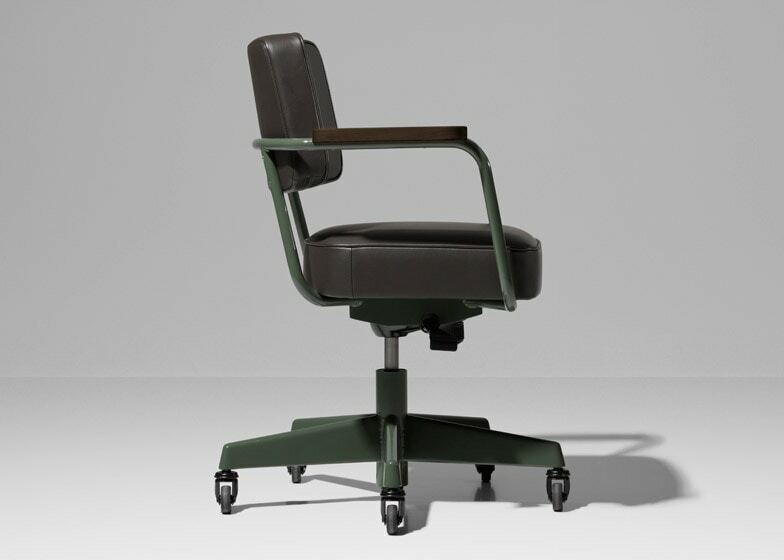 You're not veering too far away from Prouvé's original ideation," he added.The steel elements within the collection are coated in a trio of muted greens with a glossy finish, intended to reference the colours of old industrial machinery. Upholstery is finished in a dark leather or dark grey fabric. Following the launch in Milan, the collection will be available from G-Star RAW's website. 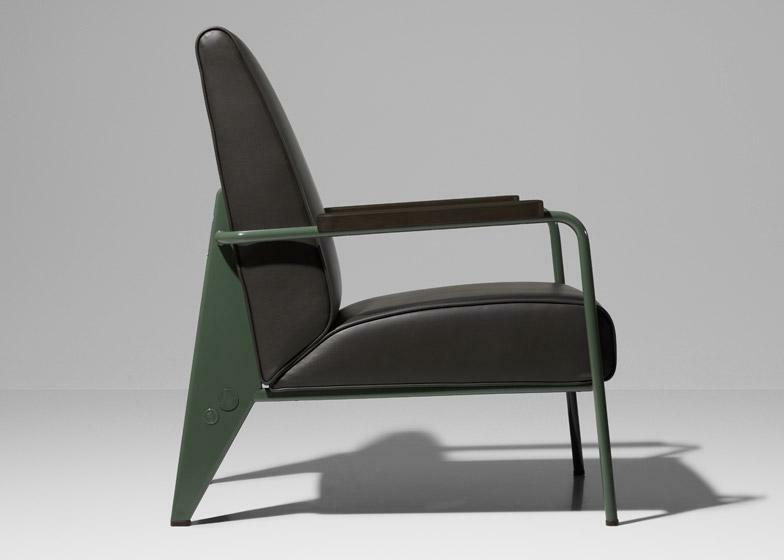 "When we [first] collaborated with Vitra to redesign Jean Prouvé's furniture, it was brand-DNA crossover," said Ray. 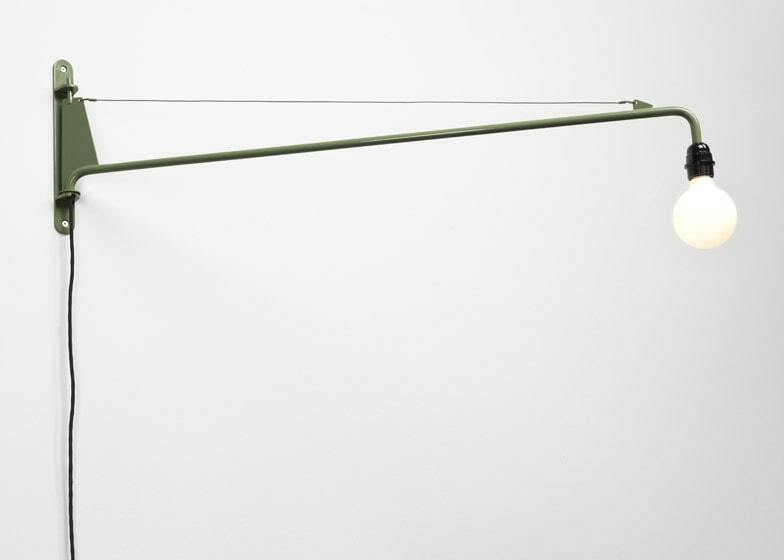 "What was interesting was that you could democratise high design, which was for the lucky few." The full interview with G-Star RAW's Shubhankar Ray will be published on Dezeen next week.